Hekab Be Biblioteca ~ Open Road Community Library: Vamos a tocar musica! Let's play some music! 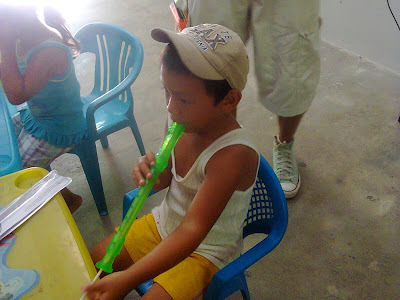 Vamos a tocar musica! Let's play some music! 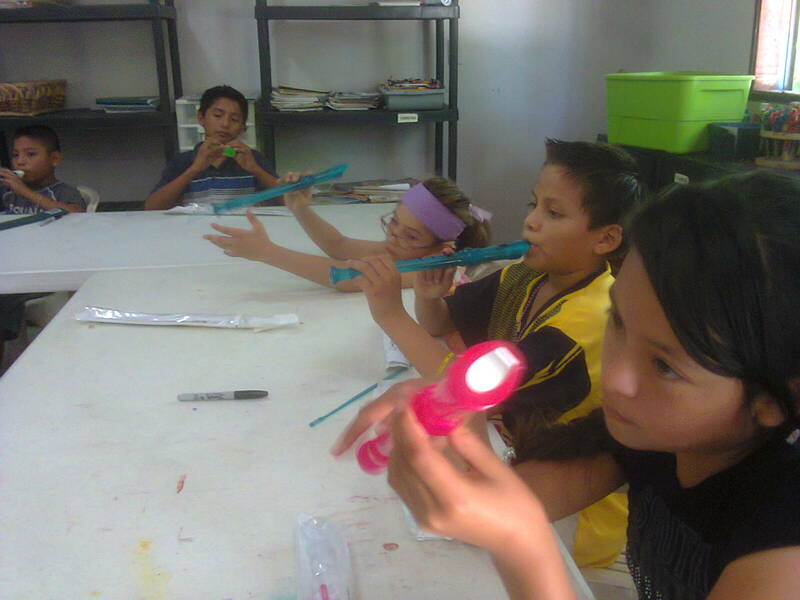 More photos of the kids in our summer music program. Here you see them practicing with the multi-colored soprano recorders that were given to each child. 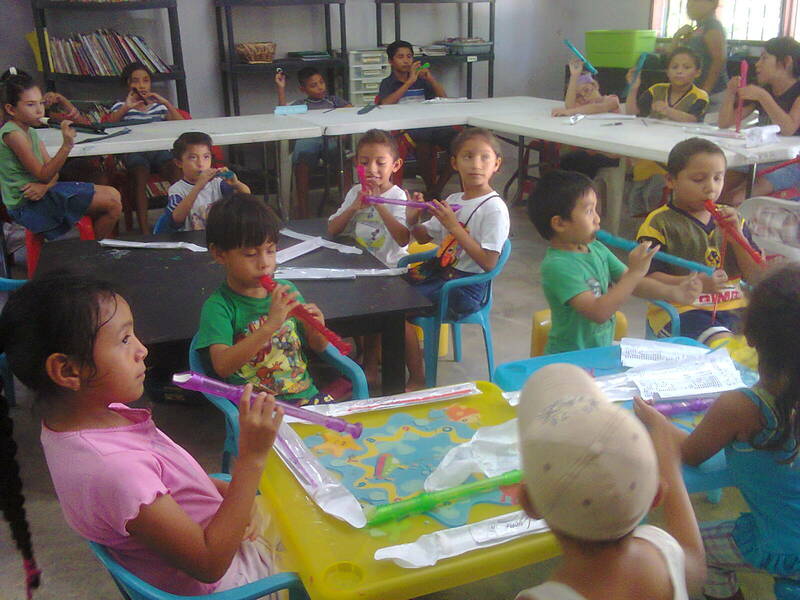 Once again we'd like to say a huge GRACIAS to each and every person who helped support this program, you have given these kids the gift of music, what a wonderful thing!! I can play it, just like this! 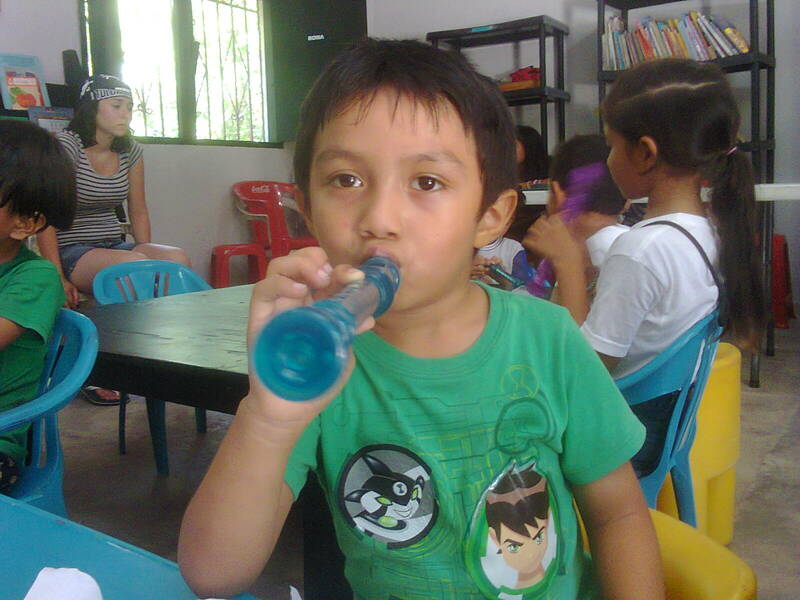 This little boy is cleaning his recorder but doesn't want to stop playing it at the same time!